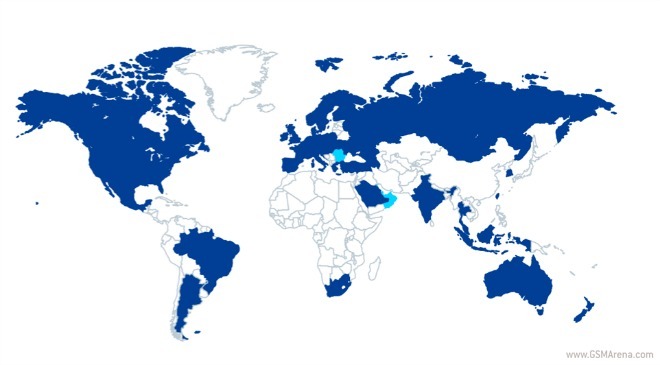 The light blue places are the newest additions, joining the other 44 countries from today. So, starting now you’ll also get live traffic coverage in Bahrain, Bulgaria, Kuwait, Oman, Qatar, and Romania. This improvement will be felt in Here on the Web, as well as through its mobile apps for iOS, Android, and Windows Phone. Not only did the aforementioned countries get covered, but the real time traffic information system inside Here was improved as well. It is now aware of reversible express lanes where they are implemented. These are situated in certain metropolitan areas and the direction of each lane can change depending on certain factors, such as whether it’s rush hour or if there’s a congestion. And Here now updates the direction of the traffic flow in real time. Traffic safety warnings have been added too. These prompt drivers to slow down when they’re close to a quickly building traffic jam ahead. The alerts usually pop up before the traffic jam becomes visible, which is precisely why they could turn out to be useful. Here collects real time data about traffic every 60 seconds, every single day, from many different sources, including “billions of speed probes taken from cars and mobile devices”.